The 001-788 Unit Dose Pig is designed to reduce exposure from Beta emitting radiopharmaceuticals, such as the Y-90 component of a Zevalin™ treatment. The barrel of the pig is constructed of .09" thick (2.3 mm) lead and .36" (9.1 mm) acrylic that attenuates beta emissions and errant Bremsstrahlung. 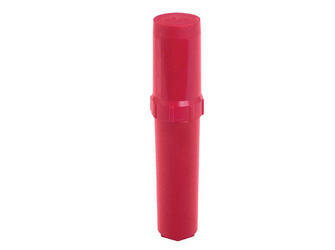 The lead and acrylic is encased in a durable Lexan. 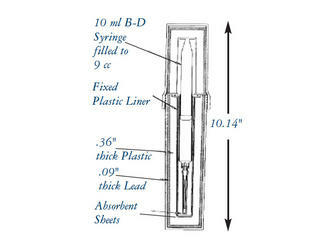 The pig accommodates a 10 cc B-D syringe filled to 9 cc.